The picturesque Zenith Beach is a short walk from either the lower or upper Zenith Beach carparks. It is a popular picnic and surfing beach, especially in the summer months. It is very beautiful at sunrise when the first rays of the sun highlights the shore. 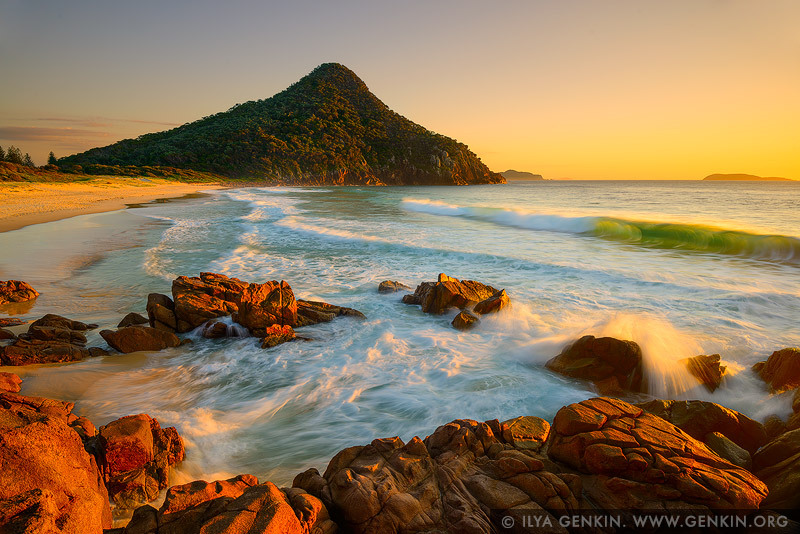 This image id AU-ZENITH-BEACH-0005 of Zenith Beach at Sunrise, is copyrighted © by Ilya Genkin. This is not a public domain image.